Consistency is a virtue for American DJ. 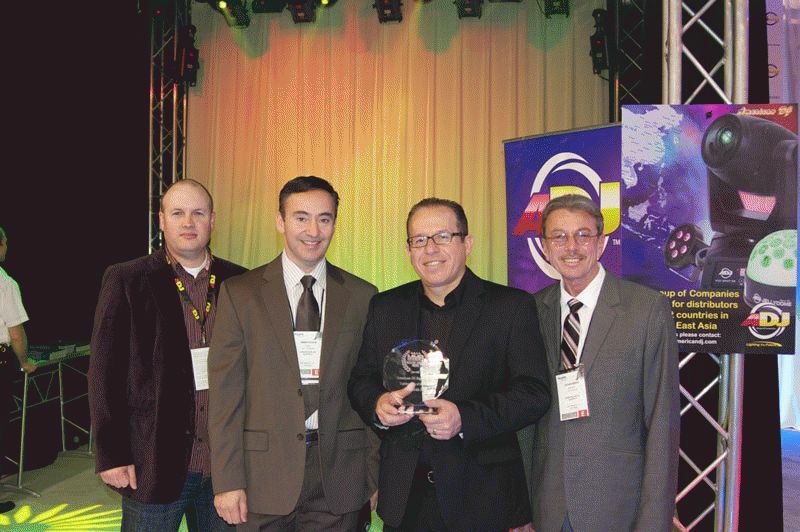 For the seventh year in a row, the Los Angeles-based company has won the MMR Dealer’s Choice Award as Lighting Line of the Year. The fact that music dealers have continually voted for American DJ in the MMR balloting is a tribute to the hard work and dedication of the people who work at American DJ, said Davies. “This is a team-oriented company, and this is a team award,” he explained. For more information, contact American DJ at www.americandj.com.